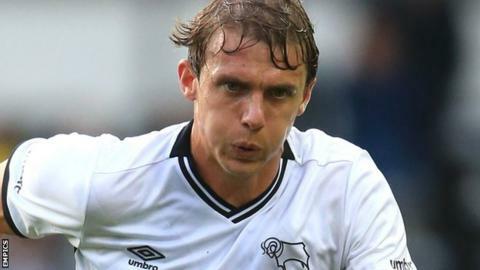 League One promotion hopefuls Wigan Athletic have signed Derby County left-back Stephen Warnock on loan until the end of the season. The 34-year-old former England defender has been a regular for the Rams, featuring in 22 games this term. Warnock, who came through the academy at Liverpool, joined Derby on an 18-month deal from Leeds in January 2015. "When we found out Stephen was available it really was a no brainer," said manager Gary Caldwell. Wigan are second in the table, four points adrift of leaders Burton Albion, who have a game in hand.